'I Have Not Done Anything Wrong,' Key IRS Official Says : The Two-Way Lois Lerner, who's at the center of the political firestorm over her agency's singling out of some conservative groups for extra scrutiny, invoked her Fifth Amendment right not to answer questions from Congress. Internal Revenue Service Director of Exempt Organizations Lois Lerner as she was sworn in at a hearing held Wednesday by the House Committee On Oversight & Government Reform. "I have not done anything wrong. I have not broken any laws. I have not violated any IRS rules or regulations." That was the word Wednesday morning from Lois Lerner, the Internal Revenue Service official at the center of the political storm over the agency's targeting of some conservative groups that were given extra scrutiny from 2010 into 2012. 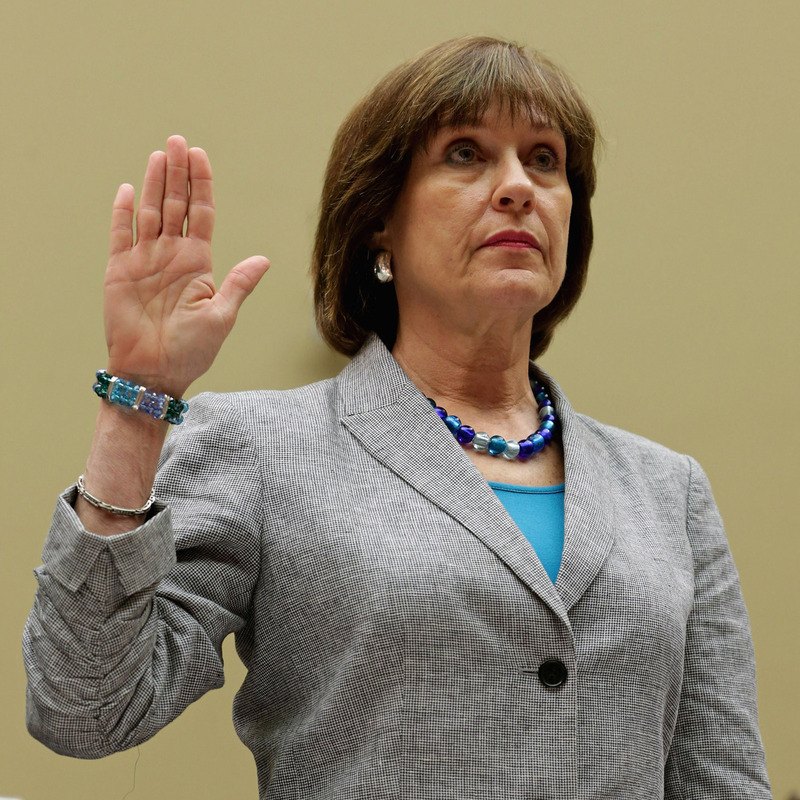 Then, at a hearing held by the House Committee On Oversight and Government Reform, Lerner invoked her Fifth Amendment right not to answer questions. Because the Justice Department has launched an investigation into the IRS's actions, Lerner said, "I've been advised by my counsel to assert my constitutional right. ... I have decided to follow my counsel's advice." She added: "I know that some people will assume I have done something wrong. I have not. One of the basic functions of the Fifth Amendment is to protect innocent individuals." The committee's Republican chairman, Darrell Issa of California, made the case that Lerner had waived her Fifth Amendment rights by previously responding to questions about how the IRS handles organizations' applications for tax-exempt status. But after Lerner again made it clear that she would not respond to additional inquiries, Issa dismissed her from the hearing. The IRS has been under fire since May 10, when Lerner apologized to the groups that were singled out for more exacting reviews. Lerner, who heads the division overseeing tax-exempt groups, said the scrutiny was partly a result of a surge in applications. Democratic and Republican members of Congress alike have condemned the singling out of those organizations — which identified themselves with words such as "tea party" or "patriots" — for extra scrutiny that delayed their applications for tax-exempt status. Republicans also have accused Lerner and other IRS officials of misleading lawmakers by not telling them about what the agency had been doing — even though lawmakers had been asking about reports that conservative groups' applications were being inappropriately delayed.